Alright, friends. It’s time. It’s time to finally share the infamous “Vespa Incident” with the world. 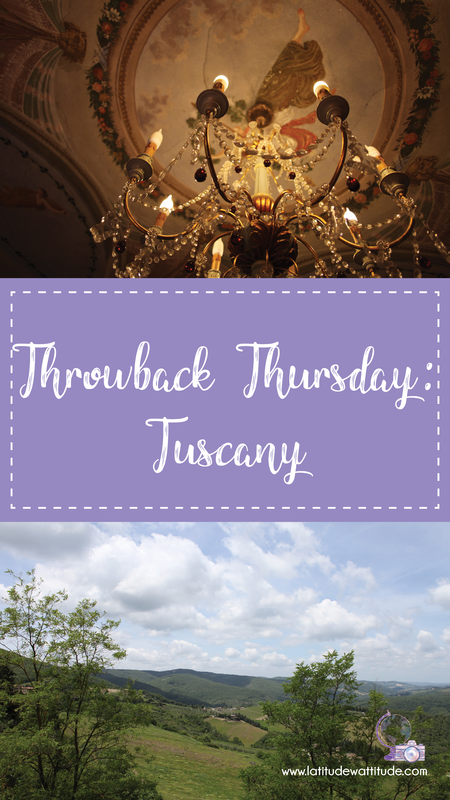 But first, let’s explore how we got to me crashing a Vespa (twice) on a busy street in a teeny-tiny town in Tuscany in front of an Italian nun, a police officer, and a biker gang. After two-and-a-half weeks of zipping around Europe, Sean and I decided we wanted to relax and enjoy the country. 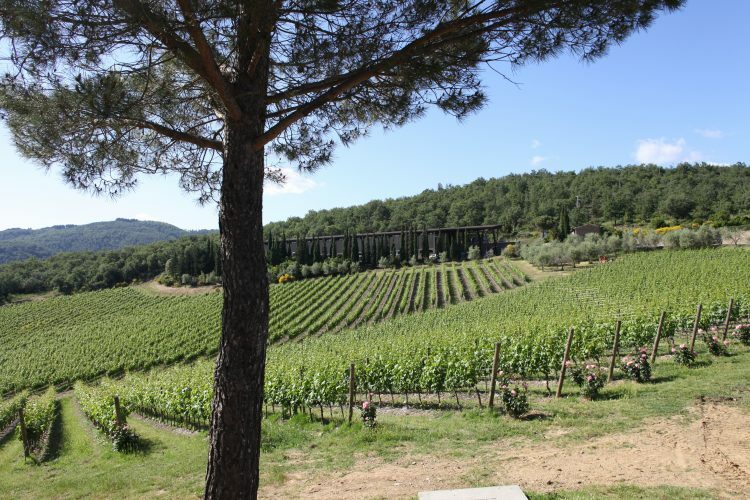 While we were in Rome, we started looking into the best ways to get in and out of Tuscany, the famously-beautiful wine-growing region that seems to be paradise on earth. 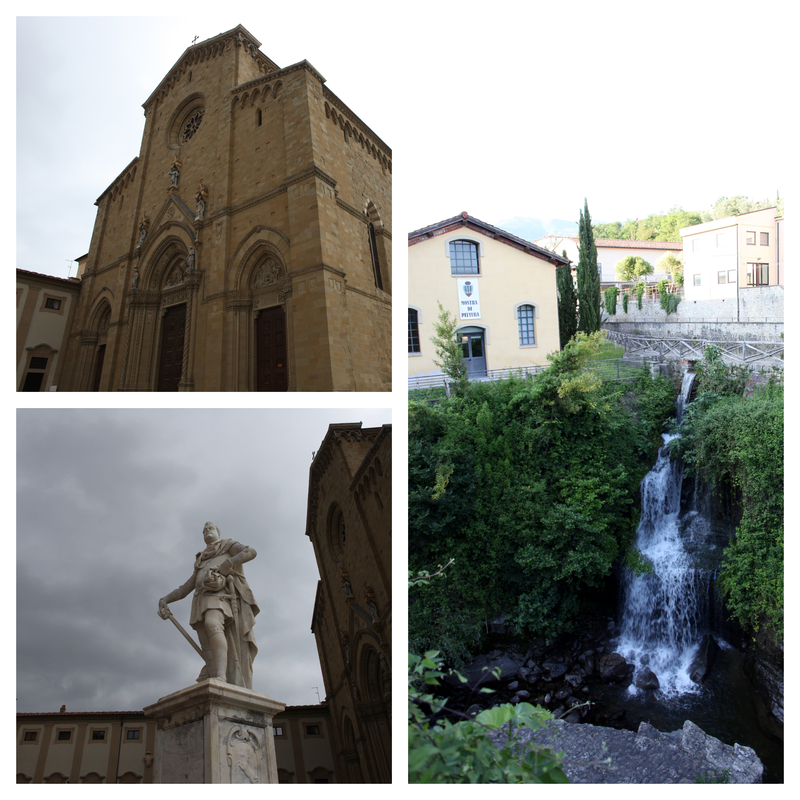 Sean ended up finding a Groupon for a three-night stay in Loro Ciuffenna, a tiny little town in Arezzo Province. With the Groupon came a complimentary tour of the Castello di Albola winery. Perfect. 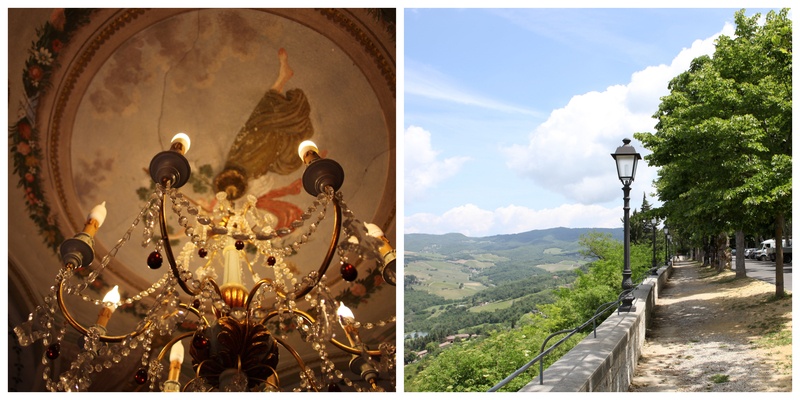 We get a few days in the country, a free wine tour and tasting, and the chance to explore rural Italy. What we didn’t realize was that our hotel was a 45-minute drive from the winery, which then began the herculean task of trying to figure out how to get there. Sean and I were not prepared to rent a car at any point during our three-week trip. We figured: it’s Europe; anywhere we want to go can be accessed by plane, train, or taxi. We also were 23 and 22 and not legally able to rent a car even if we wanted to. We spoke to the tourist information center about getting a taxi from Loro to the winery, but they were not helpful. They told us no taxi driver would be willing to drive the 45 minutes to the winery, and we would essentially be stranded once we arrived. Basically, we were left with only one option: Vespas. My experience with motorized vehicles that aren’t cars is pretty much non-existent. I’ve never even driven a moped let alone a Vespa. But how hard could it be, really? Sean found a company in Radda, another teeny town about 15 minutes from the winery, willing to rent to us and pick us up from Loro. Now it should be noted, with all due respect, that Italians drive kind of erratically, especially on twisty hilly roads. By the time we arrived in Radda I was not only nervous but a bit car sick. Not the best combination. The plan was to each rent our own Vespa. I was not keen on the idea of sitting behind Sean and having no control over my fate. I wanted to be in the driver’s seat, or firmly planted on the ground. We rented the Vespas without issue, and then it all hit me: I was expected to maneuver this heavy piece of machinery with only two wheels and shoddy brakes through the Italian countryside, just to get our money’s worth from a Groupon. Were we insane?! We had about 45 minutes before the next scheduled tasting, so all the time in the world to get there. Sean suggested we take a few laps around town to get comfortable before setting out. Now, about Radda. It’s one of those old Italian towns that was probably once a fortress of some kind. The main road makes a complete loop around town. There’s really no way to get lost, and no way to escape anyone. What I’m trying to say is, everyone can see everything. I’m not sure if I turned too sharply or didn’t give it enough gas or what but the next thing I knew I was lying in the middle of the street with the still-running Vespa on top of me. Embarrassed, I tried to get up quickly and the first thing I saw was a little old nun running towards me screaming in Italian, her baguette and groceries flailing wildly. I also was vaguely aware that I was directly in front of the bar where a group of bikers (real ones with motorcycles) was relaxing and enjoying the day. The peered over at me half-amused, half-concerned. I tried to wave the nun off and try again, but in my body was shaking so badly that as I tried to turn again I fell a second time. At this point, I promptly burst into tears – still in the middle of the street, mind you – and a police officer came to drag me and the Vespa to safety. And then I realized the worst part: Sean hadn’t realized what happened and was nowhere in sight. Thankfully, he quickly realized his girlfriend wasn’t following him and turned back. He found me sobbing and trying to talk to the police officer who didn’t speak much English. I told him no, I don’t need the hospital, yes we were together, and no, I don’t need any further assistance. I think he was glad to be rid of me. Sean returned the Vespas and left me to calm down. I sat down on the curb and tried to regain control of my breathing and assess my body. I was not seriously injured, but a large bruise was already developing on my knee. When he returned we decided to grab lunch somewhere in town and regroup. I wanted to find a cafe in the center of town where there was at least a chance my blunder wasn’t witnessed. Over lunch, we decided the best option would be to get a taxi back to Loro and just forget about the wine. In the tourist center, we got the same story as Loro: no taxi was willing to take us that far. I was getting a bit hysterical and was on the verge of tears again when the lady behind me tapped my shoulder and said “are you trying to get to Loro Ciuffenna? We’re staying in that direction and we’d be happy to give you a ride.” I could have hugged her. She and her husband, along with their 16-year-old son, were on vacation in Tuscany from Germany. They were more than happy to squeeze us into the back of their car and drive us around as they hopped from winery to winery. I think they were also excited to practice English with us and insisted we recount how we ended up stranded in Radda. They were very kind not to poke fun at me. By sheer happenstance, we ended up at Castello di Arbola, the exact winery we were trying to get to all day. And, to make our day even more ridiculous, it turns out tastings at the winery are always free, so we weren’t getting anything special with the Groupon. Exasperated, relieved, and very eager to start drinking, all we could do was laugh. 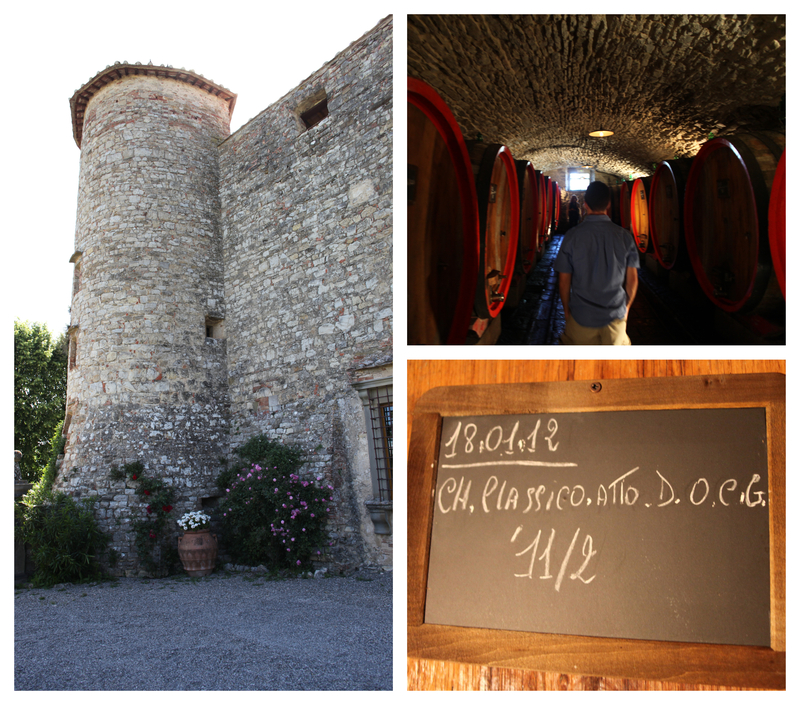 We enjoyed the tour and learned a lot about Italian winemaking, specifically Chianti, the region’s most famous wine. This particular variety is only made in Tuscany and consists of a blend of 80% Sangiovese and 20% other grapes which include native grapes such as Canaiolo and Colorino, as well as other international varieties such as Cabernet Sauvignon and Merlot. We quickly fell in love. They also taught us about Vin Santo, a sweet dessert wine often paired with biscotti. We had unknowingly ordered “Cantucci e Vin Santo” the previous night and recognized the sweet amber liquid immediately. Somehow the winery conjured up a taxi willing to take us back to Loro Ciuffenna, and we made it back to our hotel in one piece. That evening we went to one of the two restaurants next to our hotel and each ate a pizza the size of a small table. A fitting end to a crazy day. I’d like to return to Tuscany someday. Armed with the knowledge that 1) cars are essential, and 2) wine tastings are always free, I have a feeling it would be a much less stressful experience. Though I doubt it would make for such a crazy story. Click to receive notifications about new posts via email.